Have I ever mentioned that I won our school district’s speech competition when I was in Grade 7? 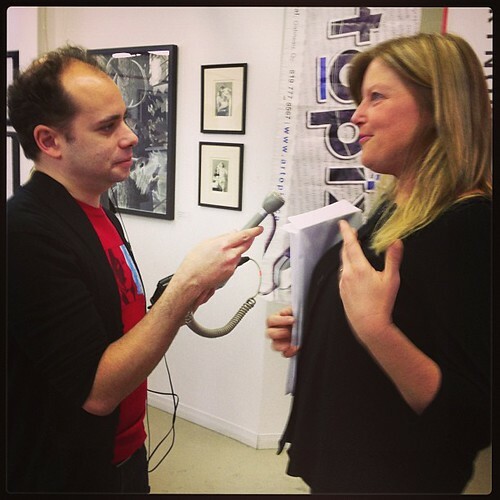 I have always loved public speaking. 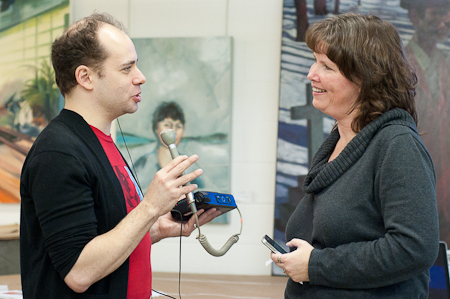 I’ve been really lucky in the last few months in that I’ve had a terrific number of opportunities to do what I call my “blog and pony” show to internal GoC audiences, talking about how we’re using social media to connect with Canadians in a government context at work, but this opportunity was especially exciting for me. I had the great honour today of speaking at the Social Capital Ottawa conference on a topic very dear to my heart: how to find, use and share photos online without getting sued. (Remember my infographic?) I love this topic because it’s at the intersection of a whole whack of things I’m passionate about: social media, blogging, sharing and photography. But I learned some other really neat stuff, too – like how to build a Powerpoint deck that doesn’t have 800 words on every slide (unlike almost every Government of Canada internal “deck” I have ever seen), and how to share a presentation on slideshare, and how to administer a quiz and record the results in real time using Google docs, and how to use storify to capture a story on Twitter. And now I’m going to wrap it all up into one big bundle and blurt it out here for your adoration. This is fun! 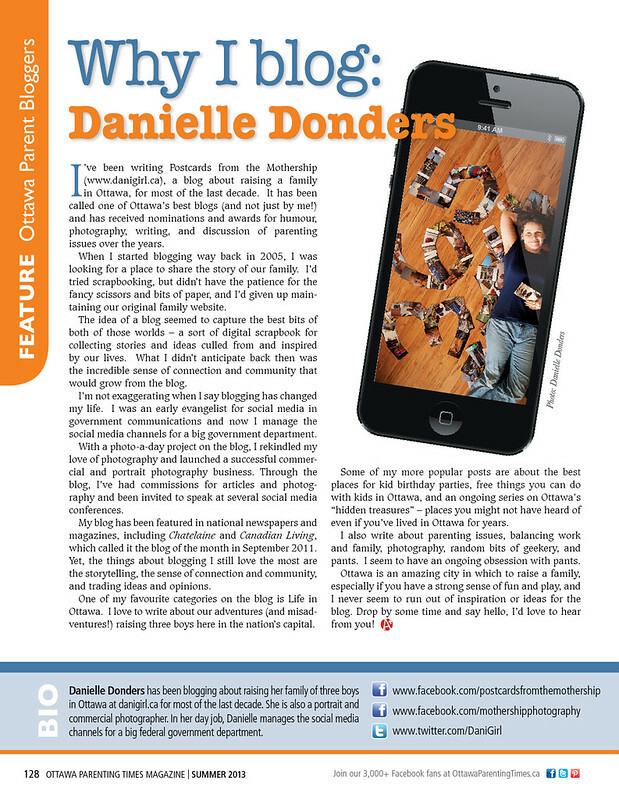 A couple of months ago I was asked to contribute an article about why I blog for Ottawa Parenting Times magazine. The article was published this weekend, so I can finally share with you. How fun is this? This week in pictures: winter family fun – and an award!! How cool is this? I just found out that Postcards from the Mothership won third place in the “Art and Photography” category of the Canadian Weblog Awards!! I had been nominated in three (!) 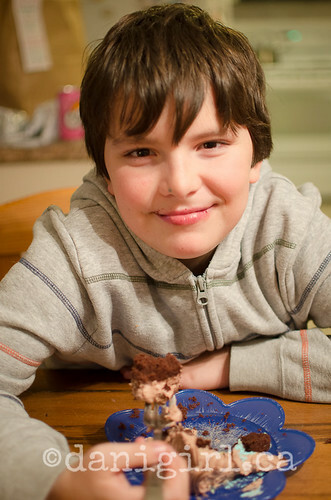 categories: Best Parenting Blog, Best Blog about Life and Best Art and Photography Blog. (And a HUGE thank you to whomever nominated me!) 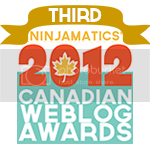 I love the fact that the Canadian Weblog Awards are juried (no grovelling for votes!) and I love love love that I won in the Art and Photography category. Thank you!!! So, ahem, how about some photos? 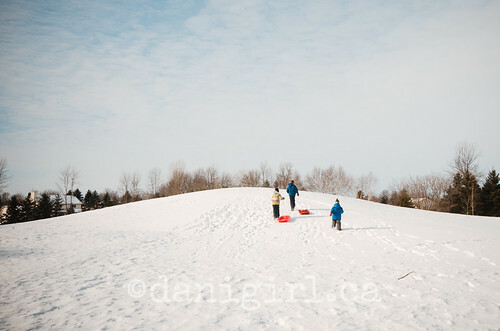 On Saturday, we went out to enjoy Manotick’s Shiverfest with a little sledding. What we didn’t realize until after was that the city had closed all its hills because they were so icy. 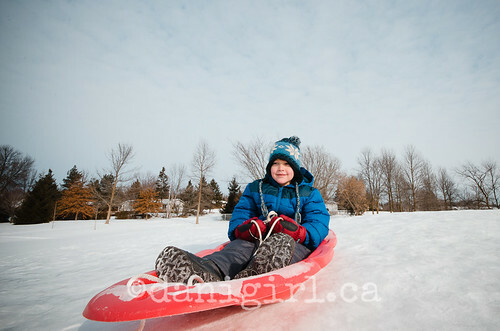 We’d hauled ourselves out in the cold, though, and we had the hill to ourselves for most of the time we were there, so with me playing traffic cop to make sure nobody took off too soon and wiped out a brother, we ended up having a lot of fun. The next day Tristan and I braved the cold for a wander around the Lime Kiln Trail. 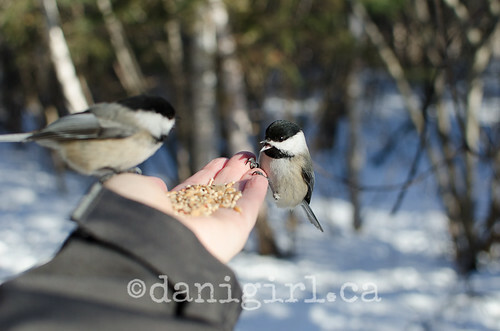 The poor wee birds must have been starving with the recent deep freeze, because I swear we could have just sat in the car and held our hands out the window to feed them. 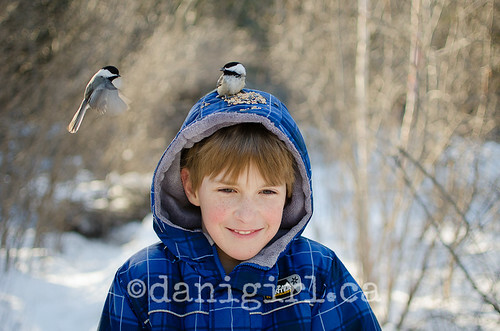 We’ve fed the chickadees many times, and I’ve never seen them so aggressive. The middle bit of the week was a little less photogenic. 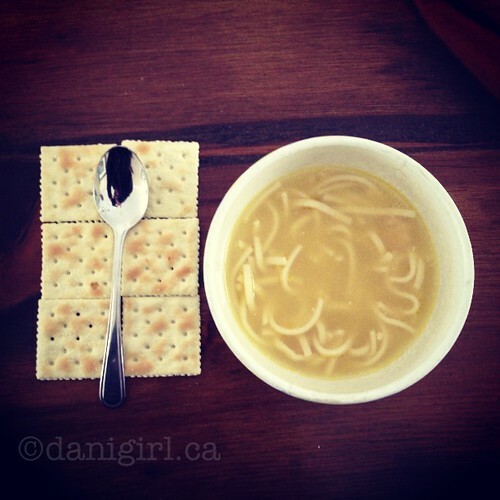 Tristan put together this “cracker napkin” and I thought it would make a good instagram shot. 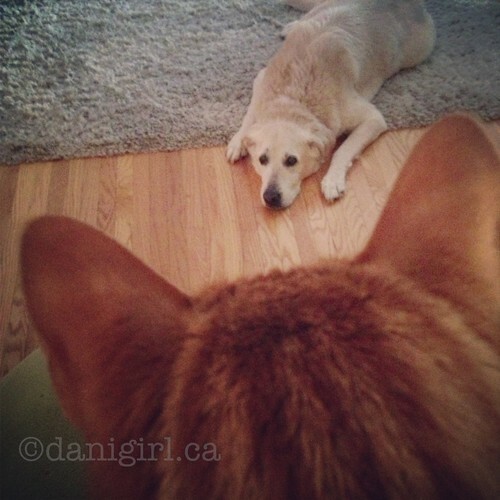 And there’s always room for a cat-dog shot, right? 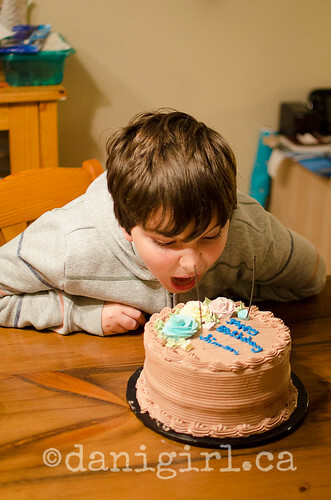 And then suddenly, Simon was nine years old! 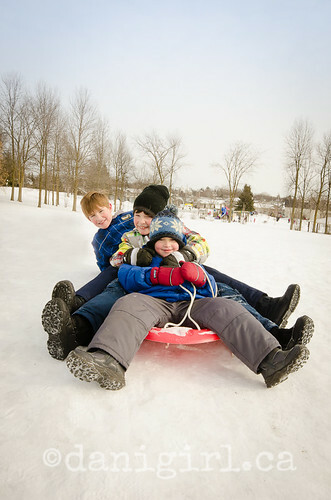 Come and play along with the I Love Ottawa/Gatineau photo contest! I mentioned last week that I’ve been invited to participate in a fun new contest to help raise money for the Ottawa Food Bank. 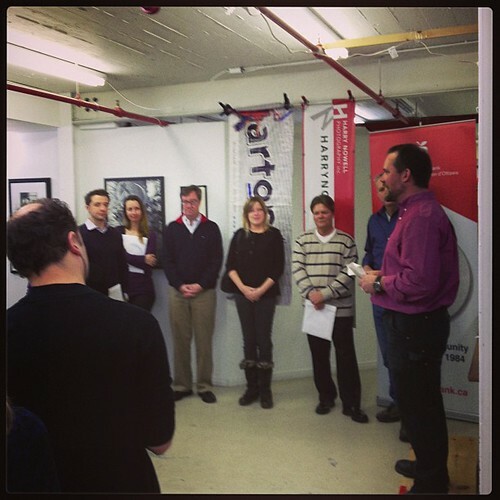 The launch event was this morning. It was a horrible morning outside (sleet and howling winds that turned into a blizzard while we were there!) but a warm and friendly morning inside as I had the chance to fawn over chat with Mayor Jim Watson, digital media teacher Allison Burnet, old friend and blogger Andrea Tomkins, CBC weather man Ian Black and two of my Ottawa radio heros: CBC All in a Day host Alan Neal and fellow Manotick resident Sandy Sharkey from BOB-FM. So yes, it was a lovely morning, but one with a great purpose as well: all participants will be submitting up to three photographs on the theme of “Why I love Ottawa/Gatineau”. Entries will be framed by contest sponsors Harry Nowell, Artopix, Dave Andrews Fine Art Printer and Patrick Gordon Framing, and then sold at a silent auction on February 23 at Ottawa Studio Works to raise funds for the Ottawa Food Bank. How fun is that? Would you like to play along? Members of the public are invited to submit up to three high-resolution photos on the theme of “Why I love Ottawa/Gatineau” to the contest Facebook page between now and February 16. Convince your family and friends to vote for your photo and the one with the most votes will be printed, framed and included in the auction as well! You can also follow the contest twitter feed (run by Allison’s digital marketing class) on Twitter (@OttGatLove and #ottgatlove) or even check out their inspiration board on Pinterest. Will you be playing along? If not, at least help me with some inspiration. For most of the one week I have to come up with my entries, the weather forecast is calling for daily HIGH temperatures in the -20C range! (Yikes!!) So the challenge may now be how do I best show my love of Ottawa – indoors!! Before I became obsessive about photography, I was in love with words. I’ve always loved to tell a tale, and to find the perfect words to do it justice. Once upon a time, I thought I might even write a book some day. Well, I didn’t exactly write a book, but in the same week I self-published not one but TWO photography books on Blurb.ca, take a look at what else is in print: my very own article and photograph in Ottawa Family Living magazine. How fun is this? 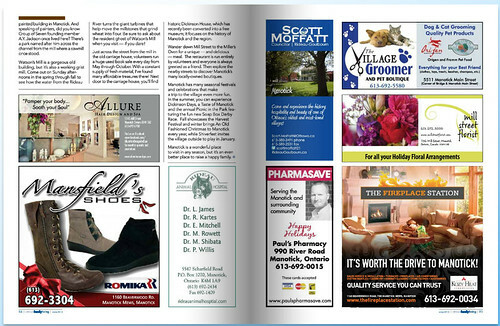 Watch for your copy of Ottawa Family Magazine (also featuring my friends Sara McConnell and Karen Wilson, among others!) in this Saturday’s Ottawa Citizen. Edited to add: oh look! Here it is online!